The sciatica nerve is the largest nerve in the body. It is about the size of the little finger and comes out of the spinal column low in the back. Then it travels behind the hip joint, down the buttock and finally down the back of the leg to the foot. 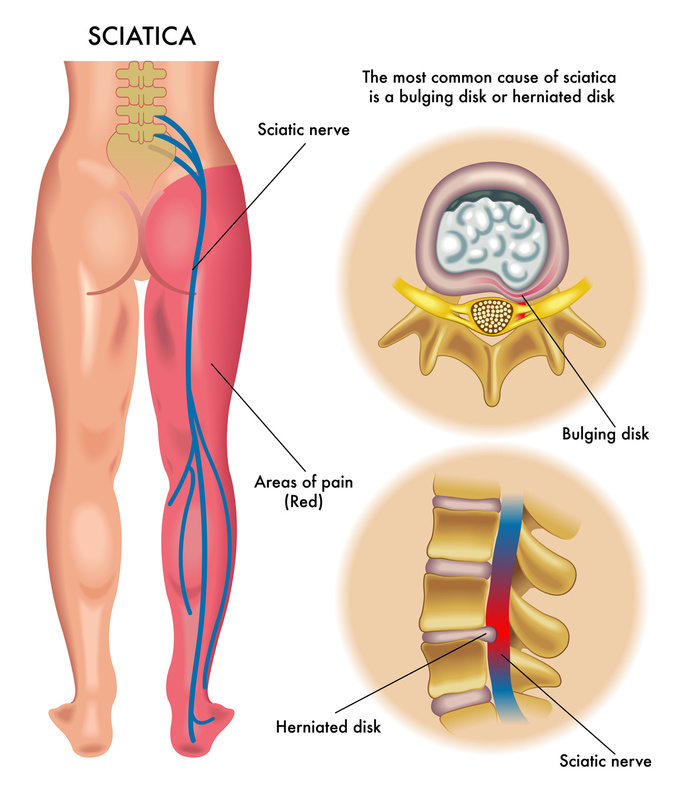 Sciatica pain is different from other forms of lower back pain because even though the pain most often begins in the back, it will usually travel down into a lower extremity. Most will experience a low back pain that is combined with a pain through the buttock and down one leg. The leg pain will usually extend past the knee and may travel on to the foot. A sign of sciatica is weakness in the leg muscles. Sciatica pain is usually a shooting pain similar to electricity. It may also burn like fire or tingle such as when your leg “goes to sleep.” The pain can be slightly annoying to totally unbearable. Sometimes people will have pain in one leg and numbness in another part of the same leg.